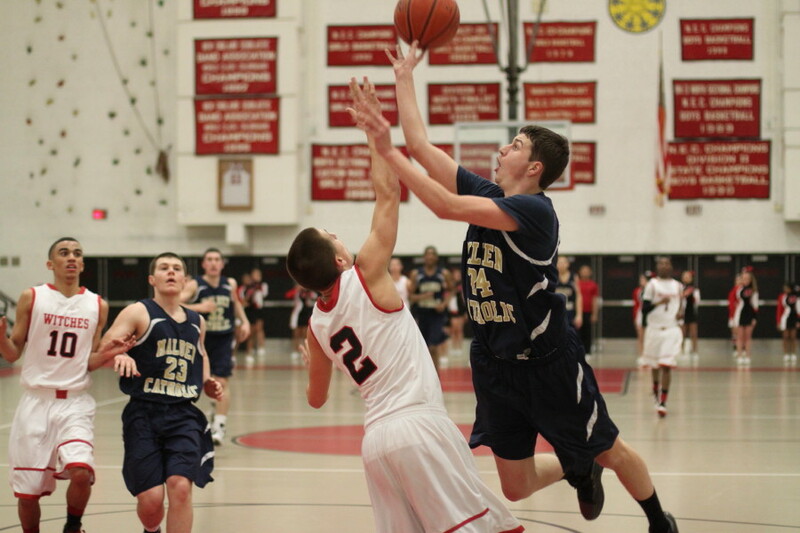 (Danvers) St. John’s Prep (7-0) continued undefeated after a 57-40 win over visiting Malden Catholic (3-4) on Friday night at St.John’s despite some very poor Eagle shooting ( 18-for-57 – 31.5%). If the home team’s shooting hadn’t been off, they might have reached the magic number of the night – 75. Right, that is how old Elvis would have been. 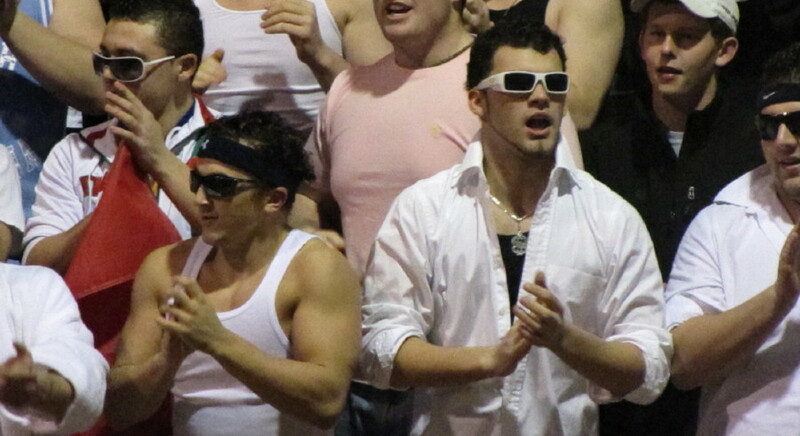 Fittingly, quite a few of the St. John’s very active student body section had the Elvis look. While St. John’s shooting was off, their defense was on. I came away especially impressed with the efforts of senior George Sessoms. 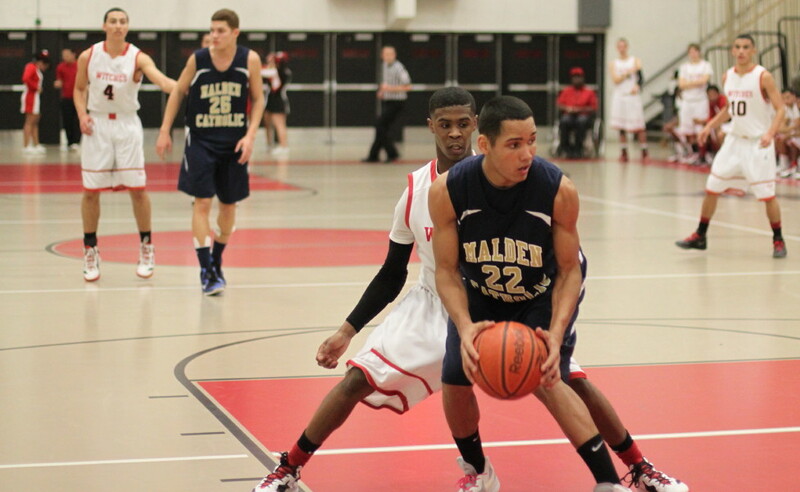 He had the MC guards moving sideways instead of toward the basket with his footwork and hustle. The Eagles put this one in the win column in the first half, during a 5 ½ minute segment (starting in the first period and ending in the second period), in which they outscored the Lancers, 16-2. The run turned an 8-5 advantage into 22-7. The Lancers didn’t do themselves any favors during this crucial spurt by missing seven of eight field goals and the front end of three one-and-one’s. 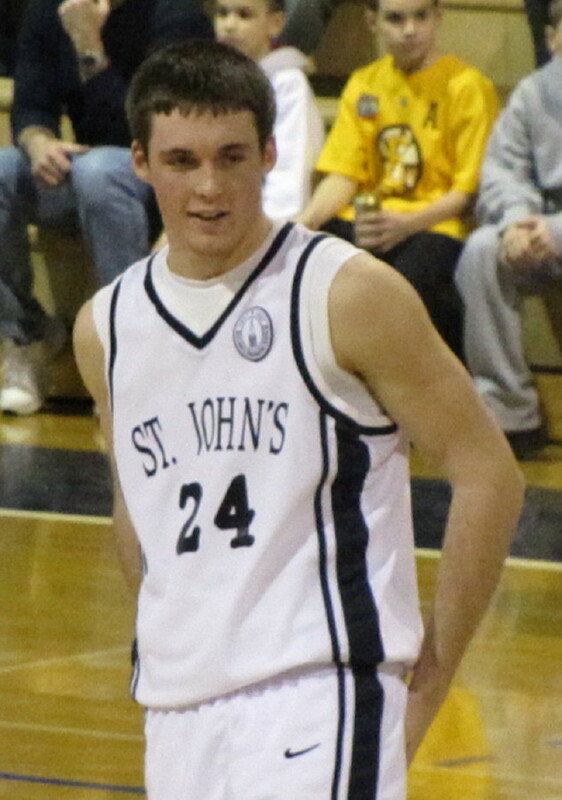 I came to get my first look at highly regarded 6’4” Eagle junior Pat Connaughton. (He averaged 22 points/17 rebounds per game last season.) 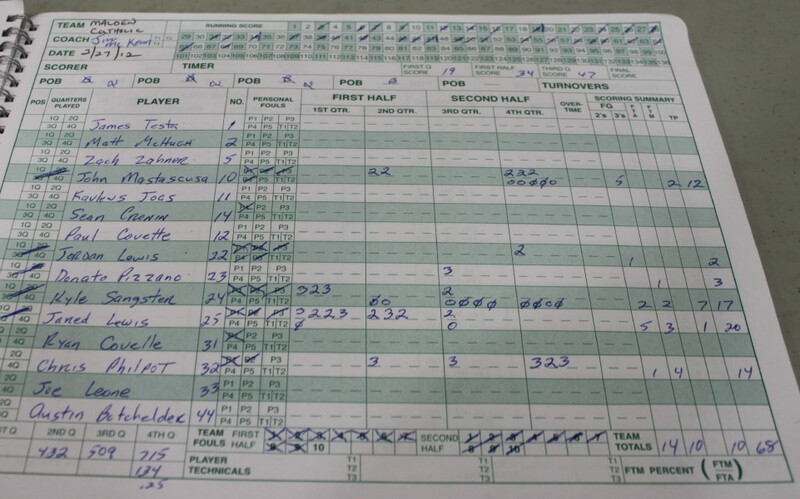 He didn’t shoot very well in this one but still ended up with 21 points. 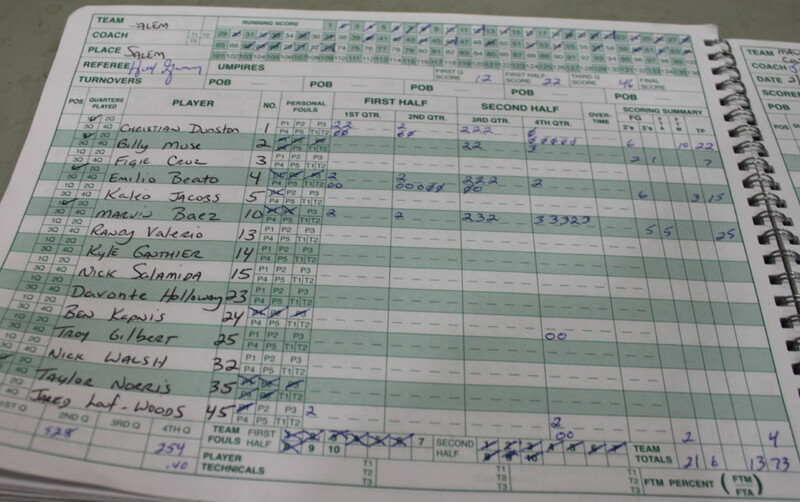 His rebounding was noticeable – 18. He also had a number of assists and steals. 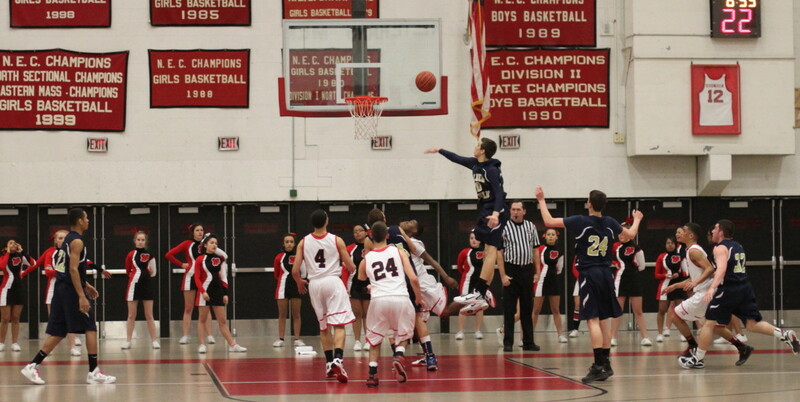 During the game-turning run, he hit a jumper, turned a steal into a layup, and had another layup. He played both inside and out. He will certainly be a guard at the next level. 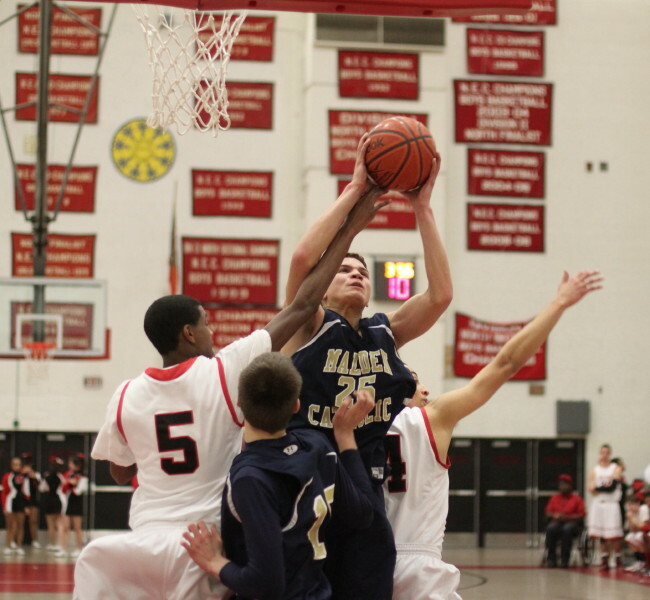 He showed good court vision and got open shots for sophomore Michael Carbone (15 points). 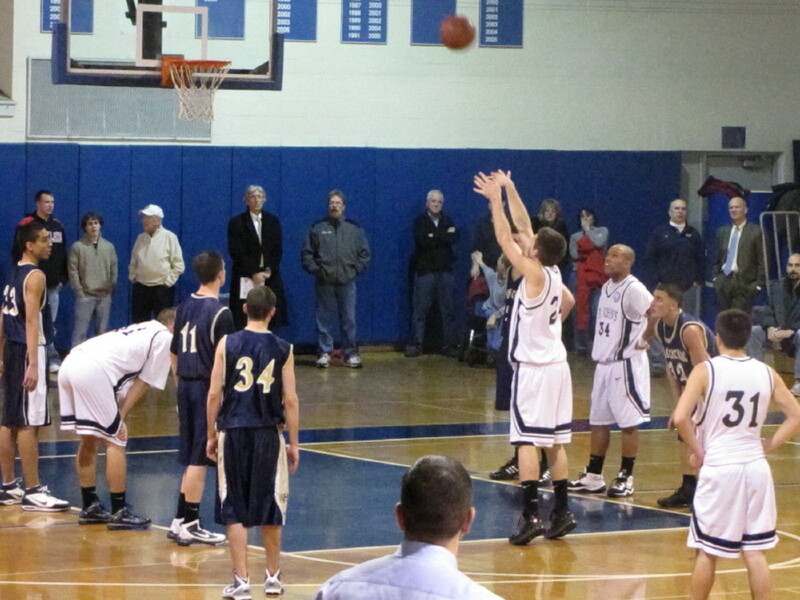 Michael drilled five 3’s including three in the final quarter. 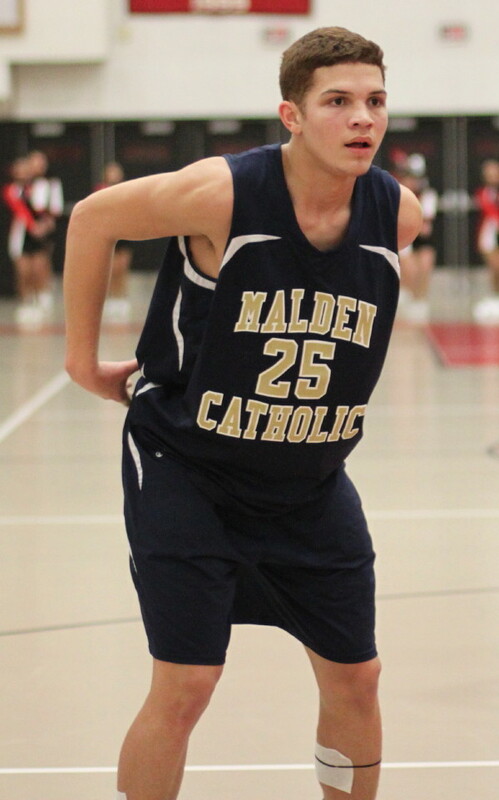 Malden Catholic is a Division 2 team playing in the extremely tough Catholic Conference. 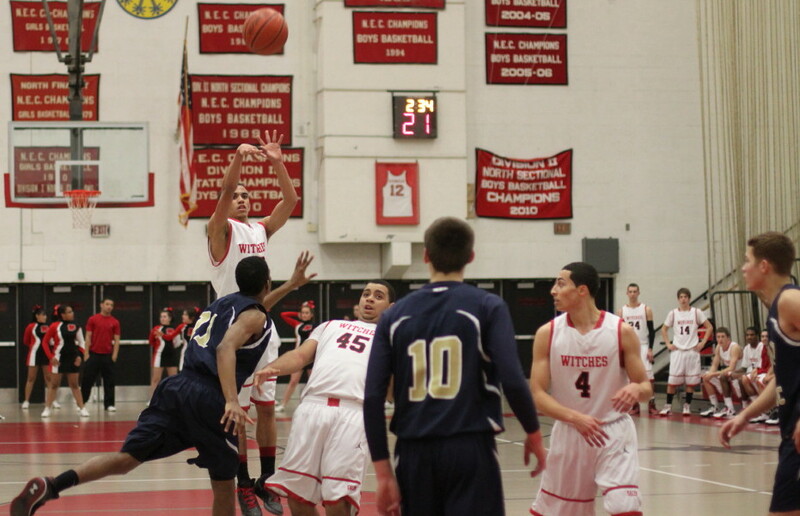 MC has a couple of Division 2 opponents (Gloucester and Masconomet) on their schedule. They play Gloucester twice and Masco once. If MC can win two of those three they’ll make the state tournament. 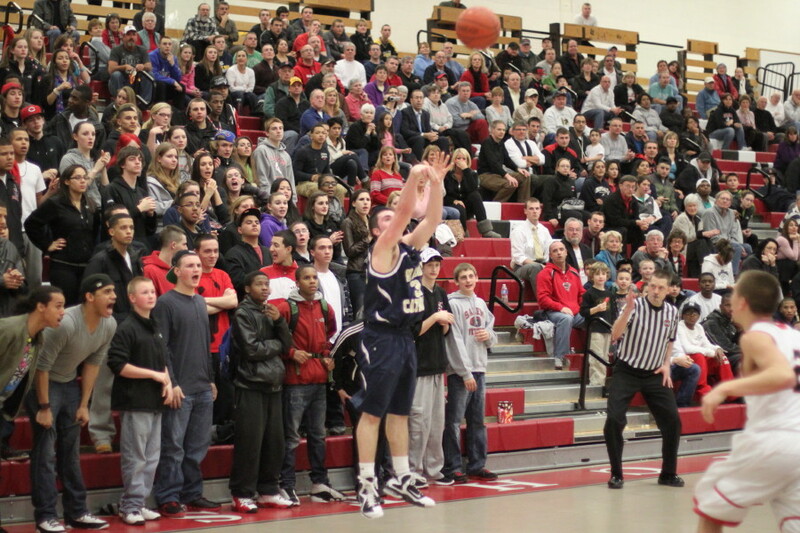 Another way to the tournament is to win half their games in the Catholic Conference. That second option looked unlikely from what I saw tonight. 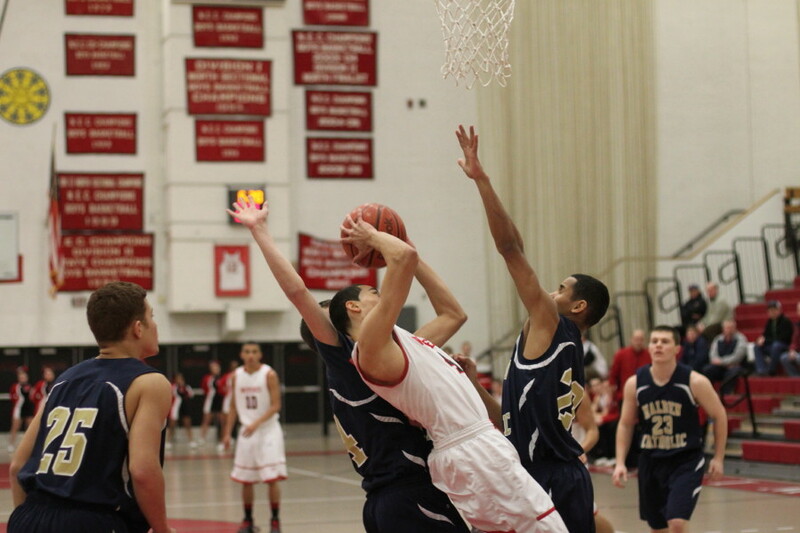 Division 1 St. John’s is ranked third in Massachusetts behind Central Catholic and Lynn English by MaxPreps. All three teams are undefeated. 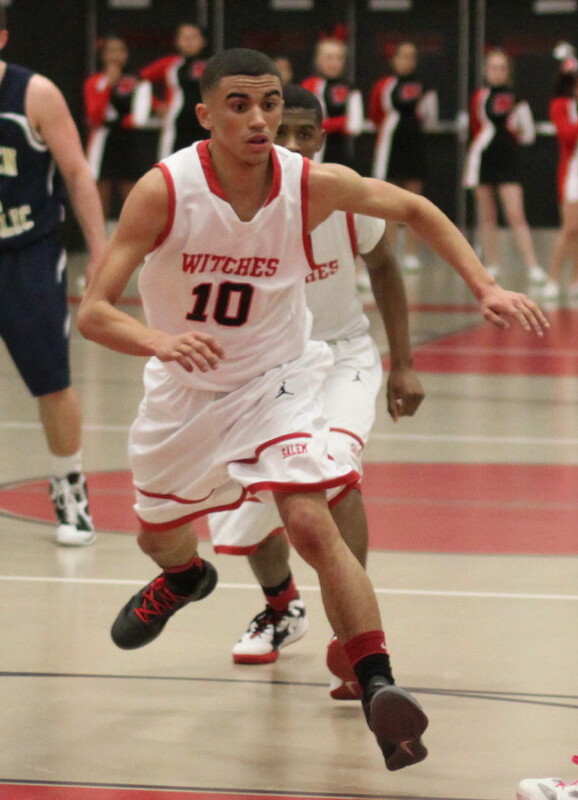 On February 17, St. John’s plays at Central Catholic (Lawrence). That is a Wednesday night (7PM) and it might be worth circling on the calendar now.